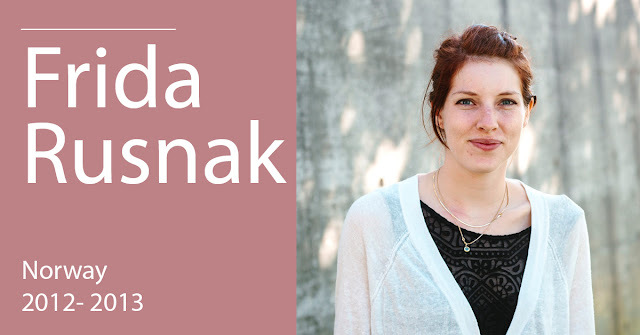 We introduce you to Frida Rusnak, a former student from the Master’s degree in Arts and Culture Management, English edition 2011-2012. I was working with youth projects in a local district in Oslo and I felt that project management was really the right place for me, but I needed to get more tools and knowledge to continue. Until then I had been “learning by doing”, but I think you need both practical and theoretical skills to evolve. I’ve always been very interested in culture and in particular visual art. I wanted to work more closely with the cultural sector, but it’s hard a foot through the door, so UIC was that step for me. I’m Head of outreach programmes and communication at Transnational Arts Production (TrAP). It’s a non-profit arts production company, funded by the Arts Council Norway. We are working to increase cultural diversity within Norwegian arts and culture, through exhibitions and performances, as well as seminars and reports. A big part of my job is to make sure we reach a diverse audience and create collaborations and long-lasting relations, especially with young people and people with a minority background, who are underrepresented in the arts and the cultural industries today. I hope we influence other cultural institutions to work with the same. I had to finish my internship for the Master’s Degree, and a friend recommended me to apply at TrAP. Luckily, they needed a new person to take charge of communication tasks, and when my internship ended they offered me a job as communication and project assistant. I could bring in perspectives from abroad, and I had already done one internship at LOOP video art fair, during my studies, so that was an advantage. It has definitely made me a better project manager. I think I have used what I learned in all the courses in one way or the other. I have also learnt a lot from the different cases we studied, and the assignments that I was able to choose myself, where I could dive into the topics that interests me the most. Living in Barcelona, I really took advantage of all the cultural events and exhibitions that was going on, and this is another reason why I got so much out of my time there, professionally and personally. I have also learned so much from my fellow students. Being in an international environment brings another layer to the classes because everyone have very different experiences. 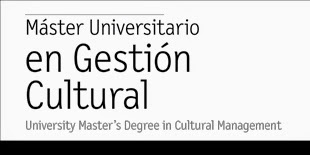 I have my Bachelor’s Degree in International Development Studies, and in my current job I think I have been able to combine that international focus with both the more practical management skills and the cultural theory. So it all came together in a way. I really appreciated the teachers who took us out to experiences in “the real world”, such as Mohammed Elrazzaz, and especially Magda Anglès who took us the Fundació Miró where she worked and really brought us into what she dealt with in her job. Yes, as friends, not as colleagues. It’s great to be able to meet up with people all over the world. And I would love to get the opportunity to work with some of them one day.